Chennai: Apollo Hospital, where late chief minister Jayalalithaa underwent prolonged treatment till her death, welcomed the Tamil Nadu governments decision to order a probe into her demise, saying it will “put to rest all unfounded speculations”. Reacting to Chief Minister K Palaniswamis announcement that a Commission of Inquiry would be set up to probe the death of the late AIADMK supremo, the hospital also said it was confident that the commission’s report would bring to light the “outstanding” treatment and care she had received. “The Tamil Nadu governments decision to set up a committee to enquire into the cause of the death of Puratchi Thalaivi J Jayalalithaa is a good move,” a statement from the Apollo Hospitals said tonight. Jayalalithaa was admitted to the hospital on September 22 last year with complaints of fever and dehydration and was treated for infection and other problems. However, she died on December 5 following a heart attack. The hospital statement said: “The team at Apollo Hospitals who relentlessly fought to save her, is confident that the committee will bring to light the outstanding treatment and care she received”. Senior doctors and experts from Chennai, All India Institute of Medical Sciences, New Delhi, United Kingdom, the US, and Singapore were treating her since she was admitted. “It is our greatest regret that despite the highest standards of care provided, the late chief minister could not be saved,” the statement said. “It is our sincerest wish that finally, the findings of the committee will put to rest all the unfounded speculations in this regard,” it said. 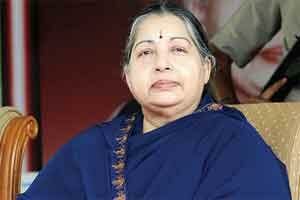 In a press conference organized by the state government in February last, London-based specialist Richard Beale (who treated Jayalalithaa), and doctors of Apollo and the government had ruled out poisoning as the cause and asserted that there was “no conspiracy” or mystery in either the treatment or what led to her death. This is to notify the general media audience on the sale and buying of vital body organs for a reasonable amount of fund. We\’re a registered and licensed organization specialized in operating, buying and selling of organs such as heart, kidney, lung and liver. We guarantee a 100 percent safe procedure, as our surgeons and neurologists are the best in the world and you shall also get access to huge capital which will enable you live a better life. Interested clients should kindly contact via email mobile (+918904820160, 00918904820160) only. We hope to hear from you, as you shall be treated whole hearten with the best of our medical resources.